Well not exactly but I do have some updates and images and special announcements for you all as promised. So lets gets started shall we? 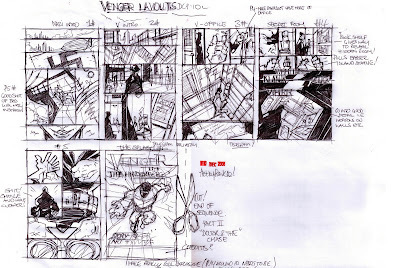 The Venger: Dead Man Rising #2 is in the process of being lettered as we speak. 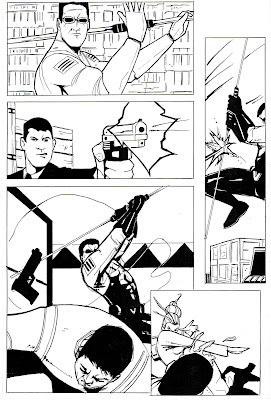 My good friend Brant Fowler is doing a great job working on the pages as well as doing books for other companies like Image at the same time. So just keep hanging on- the book is coming, my plan is first quarter 09! 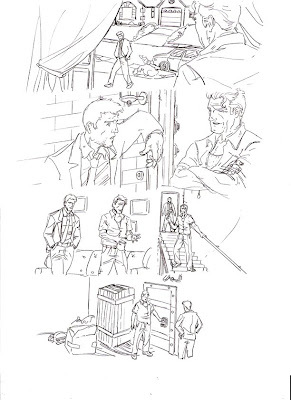 Here are a couple of random pages from the issue to look at- I don't believe I have shown these before. 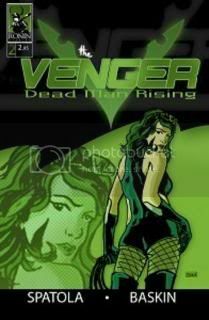 The Venger: Dead Man Rising #3 is still in production. 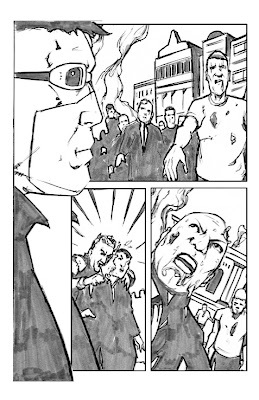 I have some more of the script to do and the fantastic Tim Baskin is hard at work with the art. 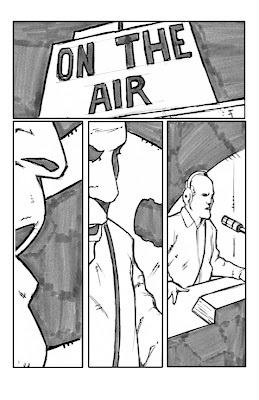 Tim is doing a great job with the look of the book. 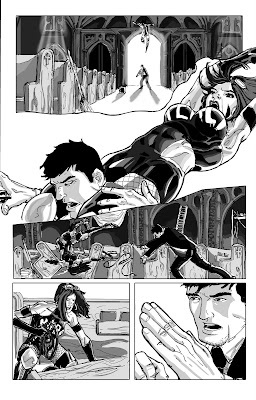 His art and grayscaling look perfect in #2 and will be even better in this issue. As we work on this my guess right now is 2nd half of 09 for it to be published. 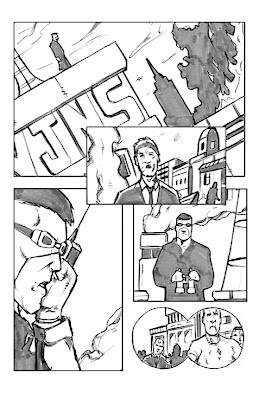 This is the unfinished pencils from page 2 of the book; I have previously posted page 1. Venger/Footpath: EndGame is done. The pages have been lettered by Brant, Brett has done an awesome new cover for it and I have been trying to put together some bonus material for the back of the book to really make it special for everyone who has waited for this crossover. I'm planning a first quarter 09 release for this as well. Here is Brett's new cover and some random pages too. And now for the special announcements. 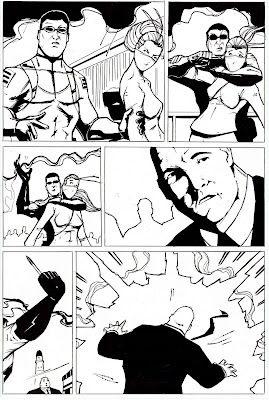 The first is regarding a new Venger ongoing- yes I said ongoing- series written by me and with art by my regular partner Brett Wood entitled The Venger: Sins and Secrets. This period book will feature the original Venger. Our plan is to do 'not quite full length stories'- around 16 pages- with bonus pages to bring this to you the readers on a regular basis and at a great price. 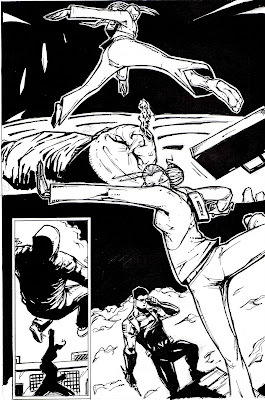 The first issue will be the 'Undead Rising' story that I have recently posted about. Many thanks go to Brett on this because it was his enthusiasm and ideas that turned this one shot idea into a whole new freakin' series. 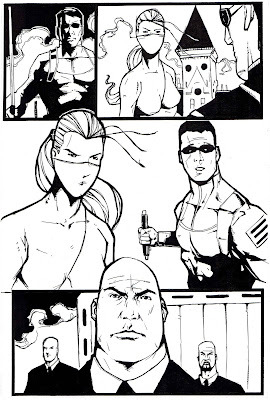 Take a look at some of the pages Brett has completed so far. The last announcement is of another special in development starring the original Golden Age Venger. 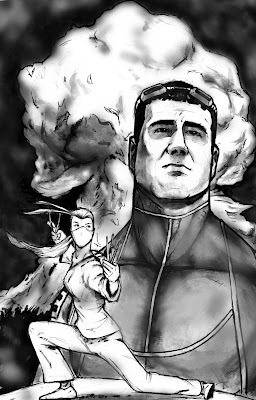 The book is titled The Venger: Project Valkyrie and deals with Nazis, spies and mad scientists- oh my! This issue is a true partnership in that it is being co-written by myself and the book's artist Frankie Wessing. He has been providing some amazing breakdowns for the story. 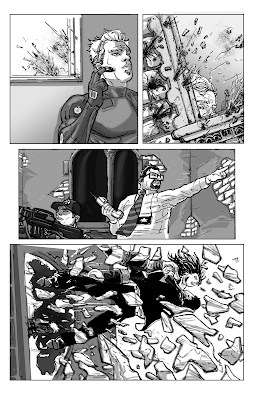 Here is the breakdown for the first 6 pages. I want to thank everyone who comes here and checks in on Venger. I really appreciate it- supporting an indy title like this is fantastic. Thank you again. 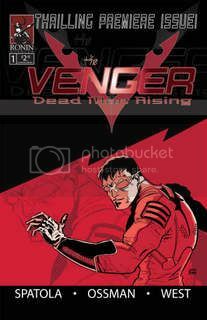 The Venger: Dead Man Rising #1 is still available for sale, click the link on the side of the page. The new year is looking like it will be a big year for us- hope you stick around for it.